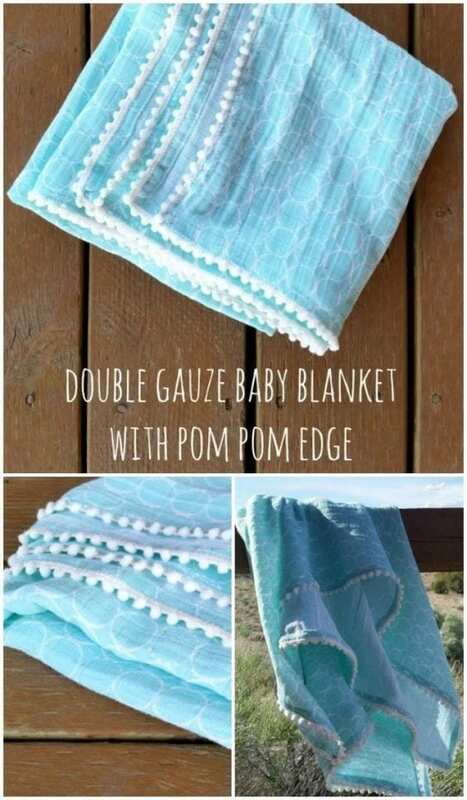 Sew up a double gauze fabric baby blanket! Super simple with a double fold hem or binding. Pom pom edge is so adorable! The tutorial also has a video to help with the double hem or binding.